Edelweiss Tokio is one of the fastest growing companies in the life insurance industry. 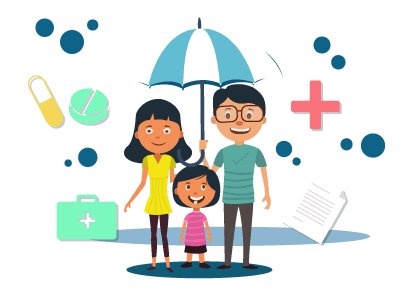 This private life insurance company was established as a partnership between India’s Edelweiss Financial Services and Japan’s Tokio Marine Holdings. Similar to other major insurers, the company has a diverse lineup of insurance products. Customers can visit the official website of the insurer to choose the right product based on their specific requirements. The company offers term plans, investment plans, retirement plans, child plans, health plans, etc., to cater to its large customer base. If you are looking forward to buying one of these products, you can use the premium calculator to find the exact price of a policy. If you are looking for life insurance coverage, you must know that there are different types of products available in the market. The benefits offered by these policies differ a lot based on the type of coverage chosen. For instance, term insurance plans provide high-value death coverage but there is no maturity benefit here. Alternatively, there are many savings-oriented plans that offer both death and maturity benefits. However, the coverage value here may not be as high as term covers with regard to the premiums charged. If you wish to know how much coverage you are getting from your life insurance policies, you can use premium calculators for the purpose. On the homepage, you can see the ‘calculate premium’ segment on the right-hand side. When you click on the button, you can open the premium calculator that asks for a series of information. You can enter your gender, name, date of birth, smoking habits, yearly earnings, marital status, phone number, email ID, etc., to calculate the premium for a specific product. Alternatively, you may also open the premium calculator page by clicking on the link ‘premium calculator’ under the section ‘important links’ at the bottom of the page. Once this calculator is open, you may enter your personal details, product details, fund details, etc., and ask for a general illustration of premium calculation. If you are satisfied with the premium details, you may go ahead and purchase the policy. Customers can improve their product knowledge about various life insurance plans with the help of premium calculators. Since there are different types of life covers available in the market, it is necessary to have a proper understanding of the market before making the purchase. It is possible to save a lot of time with the help of premium calculators. Customers don’t have to visit the company’s branch office to know the price of a policy. During their research process, they can simply enter their personal information from the comfort of their homes and know the price of various policies. They also know how much money they are getting in returns from a specific policy. Premium calculators are effective tools that help in the research process. During the research stage, customers check the prices of different policies offered by various insurers in the market. With the help of premium calculators, they can come to a clear conclusion on which policy to purchase. It is possible for companies to reach out to a large number of potential customers with the help of premium calculators. By catering to a large number of individuals, companies can find out interested customers and appeal to their specific needs. To sum up, premium calculators are effective tools that help with the needs of customers interested in buying life insurance. Since price is one of the major factors that influences the purchase decision, premium calculators are essential for effective decision making. This is the main reason why almost all major insurers in the market have their own versions of premium calculators. The premium calculators offered by Edelweiss Tokio helps customers with their financial planning and plays a major role in deciding the policy they choose.